For more than 25 years, Maracay has been a leader in the Arizona real estate industry, providing homebuyers with smarter choices that serve both their lifestyle and the environment, while constructing more than 10,000 homes for families throughout Phoenix and Tucson. Maracay’s exclusive FlexDesign® program gives homebuyers the ability to tailor their new home to the life they want to live. The company’s Energy Star® and LEED® certified homes feature the latest generation of high-efficiency technologies and sustainable building materials and practices, while the LivingSmart® program continues this comprehensive approach to green living. Maracay was named one of the 2018 Top Companies to Work For in Arizona by The Arizona Republic and azcentral.com. It has earned numerous design honors including the 2017 Nationals℠ Silver Award by the NAHB National Sales and Marketing Council and back-to-back Major Achievements in Merchandising Excellence (MAME) Awards by the Homebuilders Association of Central Arizona in 2016 and 2017. It was previously named Builder of the Year by the Southern Arizona Home Builders Association. Maracay is a member of TRI Pointe Group® (NYSE: TPH), a family of premium regional homebuilders. 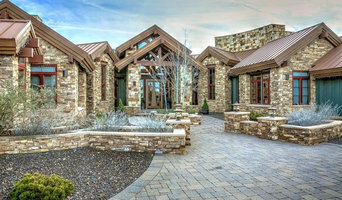 For more information about Maracay, please visit www.MaracayHomes.com. 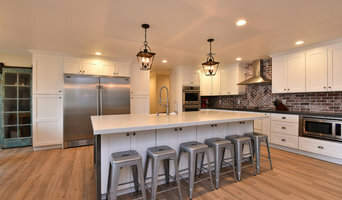 Eagle is a licensed general contractor with an excellent team of skilled, competent professionals that share the same goals and passions of building and remodeling Luxury Properties. Eagle takes pride in their work and has become among the elite builders in the market place to be called Luxury Builders. We look forward to working with you in the near future. Eagle Luxury will bring your visions and dreams to reality! For more than three and half decades Salcito Custom Homes has been defined by consistency in service, attention to detail, project delivery, and consistent demand for our services. Our projects are distinctly built with the highest quality building products and are unmistakable in their fit, finish and timelessness. With 300 projects delivered, 120 within the past decade, our portfolio is diverse and encompasses custom homes, renovations, commercial buildings and tenant improvements. Fulton Homes is the largest family owned Homebuilder in Arizona, having built over 25,000 homes in the past 40 years. Our 13,000 square foot Design Center coupled with our Design Online website makes homebuyers able to personalize their new homes in any style that suits the needs of Phoenix area residents. For builders who also act as developers, the job starts well before the first nail is driven. They perform Phoenix, AZ market research to determine whether the prospective homesites make sense in the Phoenix, AZ market, as well as survey the land on which the house will be built to make sure it is suitable for construction. They also obtain the necessary permits. A good builder has skills that go far beyond construction — he or she must supervise subcontractors and artisans; keep tabs on Phoenix, AZ zoning regulations, building codes and other legalities; inspect work for problems along the way; and perform dozens of other roles that are essential in building a quality house. Here are some related professionals and vendors to complement the work of home builders & construction companies: Interior Designers & Decorators, Landscape Architects & Landscape Designers, Architects & Building Designers, Kitchen & Bath Designers, Specialty Contractors. Find custom home builders and luxury construction companies on Houzz. 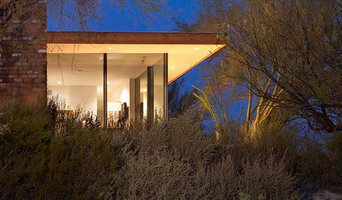 Narrow your search in the Professionals section of the website to Phoenix, AZ new home builders. You can also look through Phoenix, AZ photos to find a house you like, then contact the builder who worked on it.